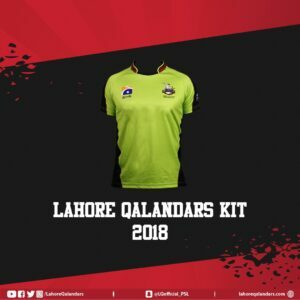 Get Lahore Qalandars Team Kit, Logo and Official Song for PSL 2019. Pakistan Super League 2019 is being held from 14th February in U.A.E and Pakistan. A total of six teams will participate in it. Lahore Qalandars represent Lahore city which is the capital city of Punjab. Lahore Qalandars Team Kit, Logo and official Song is available here. Despite giving tough fights in the previous three seasons, Lahore Qalandars have been so unlucky in Pakistan Super League. However, this year Lahore Qalandars will appear in the PSL with new spirit to learn from the mistakes in the past. Perhaps, they might even win this season of PSL. The team management of Lahore Qalandars have introduced the Team Kit, Logo and official Song for PSL 2019 to keep the Lahore Qalandars in high spirits. Lahore Qalandars team kit for the PSL 2019 is light green in color. Moreover, the logos of the Geo News which is the official Media Partner of Lahore Qalandars is placed at the right side of the kit. Whereas, Lahore Qalandars official Logo is printed at the left side of the Kit right above the heart. 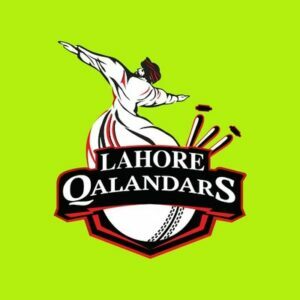 The official Logo for the Lahore Qalandars is for PSL 2019 is designed to represent Qalandars. It is a man dancing Sufi dance (dhamal). The wickets are printed behind the Qalandar Man in the log. While, the cricket ball is placed in front of the wickets. Lahore Qalandars name is written above the ball. The official Song for Lahore Qalandars in PSL 2019 is ” Lahore Qalandars Mast”. Fakhar Zaman, Haris Sohail, AB de Villiers, Mohammad Hafeez(c), Yasir Shah, Sohail Akhtar, Shaheen Afridi, Rahat Ali, Agha Salman, Anton Devcich, Carlos Brathwaite, Corey Anderson, Sandeep Lamichhane, Umair Masood, Hassan Khan, Mohammad Imran, Hardus Viljoen, David Wiese, Saad Ali, Brendan Taylor, Aizaz Cheema, Gauhar Ali, Haris Rauf.